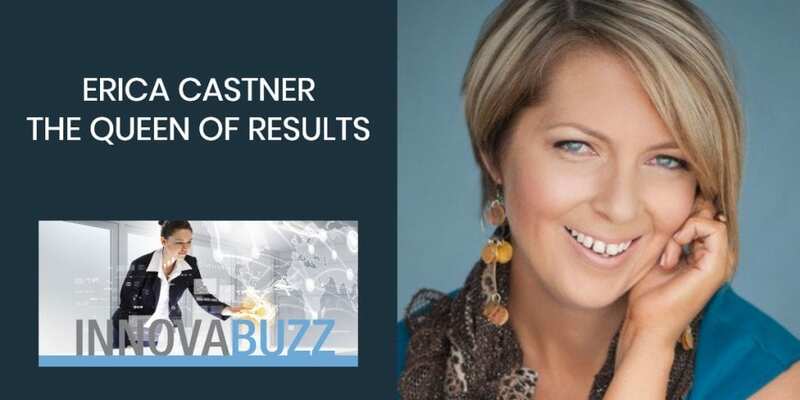 In this episode, I’m really excited to welcome to the InnovaBuzz podcast, Erica Castner, who is also known as the Queen of Results. Erica is a business growth coach, and host of the “Power Factor Biz Chat” podcast on iHeartRadio and iTunes. Erica offers workshops and coaching that are designed to help business professionals influence a group of ideal clients and ultimately enhance their productivity, presence, and partnerships. She has been featured as a guest contributor to over 100 podcasts, articles, and stages including: The News-Press Media Group, Huffington Post, Thrive Global, Southwest Florida Business Today and Digital Footprint Conference. Getting to know and building a relationship with people who are likely to refer you business saves you a lot of time and the hustle of trying to track down your ideal client. Building your network and understanding your bottom line depend on the relationships that you are forming. Going into random networking events to find referral partners is not necessarily our best fit in today’s age. Large networks are not necessary. It is truly about having quality. EPIC formula – Email, Phone, In Person, and Currency. A simple tool for tracking who are we helping, how are we helping them and who is really truly helping us. The EPIC tool helps with reaching out to people confidently and keeping them engaged in the things that you are doing as a sales professional or a service provider. It is truly about what is it that you are doing. Can you add value and are you delivering on that value? Are you making those connections? Are you doing things that are going to help them first and foremost? If you are building that value and creating that strong relationship, all the other stuff will fall into place. Building a quality team of professional that you are not only vetting but you are also being of service is the differentiator. You are being more valuable because you are not just selling them something but you are being of service. If you are not carving out time to work on your business, then you are going to be constantly working in it. Know your ideal client and what pain point you are solving for them. Think about three to five pain points that you solve for your ideal client. If you spoke about how to alleviate that pain in front of potential ideal audience, your reach and your reputation for being able to solve that pain will start going across in a number of ways. Instant conversations and random encounters will serve you. It will come at the right opportunity and potentially being a major opportunity for you in the future. Be observant of what it is they need support with. Those influencers that you want to get in front of, follow them on social media. Find out what is going on in their world. Influencers are really approachable. Most influencers and thought leaders want to make time for you. Make it easy for them. Position yourself first. Figure out a way to engage in a conversation, and know what they are all about before they come to you. Figure out what it is they need, how you can connect with them, and meet them at their level. Don’t be an ASKHole. Make sure that you are positioning yourself from a place of service. Don’t ask for the sale outfront. If you can show that you are trying to figure out where they are at and how you can serve them, that is going to serve you in the long run. Here are Erica’s answers to the questions of our Innovation round. Listen to the interview to get the full scoop. #1 thing to be more innovative – Get out of your own way. If we can get out of our own way, if we can get outside of our own industry, and learn, observe and info-sponge, that is the way we can innovate. Best thing for new ideas – I spend the first 45 minutes of my day processing everything that I processed the night before and downloading these new ideas. Innovation strikes you when your brain is refreshed. Keep project / client on track – Accountability and the whole aspect of having conversations around it. Differentiate – It truly boils down to the quality of your network. Doing whatever you can to build quality relationships, being of service, identifying what do people need, and asking those questions. If you could just be very simple with that question – what is your current area of focus, and how can I support you? That alone will differentiate you from any other service provider who are trying to grab the business. If you go with the mindset that you are going to help other people, your needs are going to be taken care of. Be straightforward in your approach that you are being a service person. Focus on building quality relationships. Doing that and being consistent with that, is going to serve you well in the future. Erica suggested I interview Jeff Hoffman, Co-Founder of Priceline, and Ken Courtright, Founder of Today’s Growth Consultant. So Jeff and Ken, keep an eye on your inbox, for an invitation from us to the InnovaBuzz podcast, courtesy of Erica Castner. Get MORE quality referrals! Download the 8 Ways to Stay “Top of Mind” in the Eyes of Referral Partners. She finished her first marathon last May. She had worked with nationally recognized brands such as: Lancome Cosmetics, Victoria’s Secret, Northwestern Mutual and a local preliminary to the Miss America Organization.